As the longtime basketball coach for the University of Tennessee’s Lady Volunteers, Pat Summitt became an icon in the world of college sports. Racking up 1,098 career wins, 16 SEC titles, and 8 National Championships, Summitt remains the winningest coach in men’s and women’s NCAA basketball history. While Summitt’s hugely impressive record on the court catapulted her to fame, it was her inspirational leadership that made her a legend. Known for her tenacity and generosity of spirit, Summitt always gave 110%, whether she was coaching the Lady Vols or raising money to cure Alzheimer’s, a disease that she tragically succumbed to in 2016. Pat Summitt strongly believed that the key to success in basketball and in life is having a guiding philosophy. In her 1998 book Reach for the Summitt, Coach Summitt outlined 12 principles called the Definite Dozen that she implemented at the University of Tennessee. Rocky Top Sports World has shared the Definite Dozen below, along with a few quotes and anecdotes from Pat Summitt and those who knew her best. Summitt was an excellent communicator who was well known for her rousing halftime speeches. On her website, Summitt writes that active listening, body language, eye contact, and even silence are all important aspects of effective communication. Pat Summitt was a champion of self-discipline because “discipline helps you finish a job, and finishing is what separates excellent work from average work.” As a coach, Summitt was tough on her players, but she also inspired an atmosphere where players were tough on themselves. While success requires a lot of effort it is also “about having the right person, in the right place, at the right time.” Summitt suggests knowing your own strengths and weaknesses and those of your teammates so you can support each other. Coach Summitt knew that negativity won’t get you anywhere. Instead, she stressed that “attitude is a choice.” She encouraged her players to “think positive thoughts daily” and “believe in yourself.” When you put in the hard work needed to win, confidence is a natural byproduct. For Pat Summitt, being competitive is a “survival instinct” and a great way to send a message to your opponents. Summitt once said, “You can’t always be the strongest or most talented or the most gifted person in the room, but you can be the most competitive.” As a coach, Summitt went out of her way to seek out challenges, like scheduling a game against the notorious UConn Huskies in the regular season. Located minutes away from downtown Gatlinburg, TN, Rocky Top Sports World is one of the best tournament destinations in the United States. With seven fields, six basketball courts, 12 volleyball courts, team rooms, and an onsite grill, our 80-acre athletic campus has everything you need for an amazing sports event. To see a complete list of our upcoming tournaments, browse the Rocky Top Sports World Events Calendar! 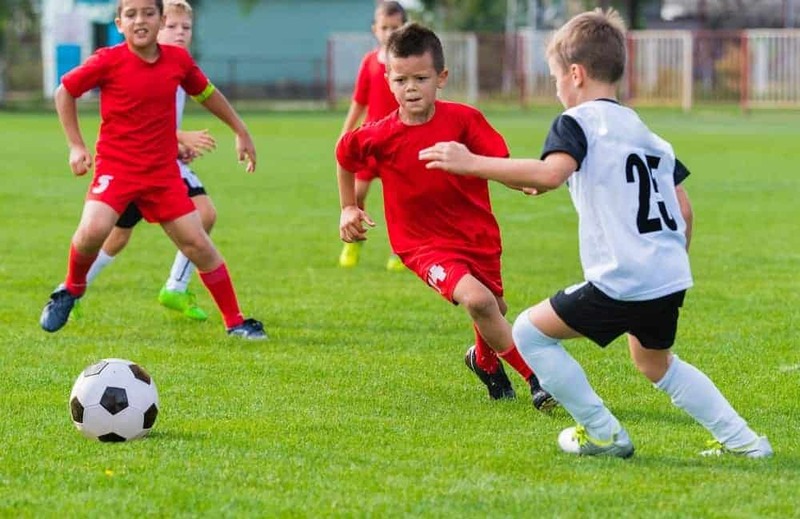 This entry was posted in Trends in Youth Sports on June 11, 2018 by rockytopsports.